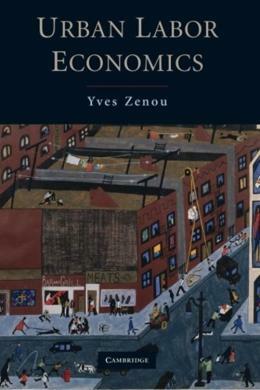 The aim of this book is to study the links between urban economics and labor economics. Different models of urban labor economic theory are examined in the initial two parts of this book: first urban search-matching models (Part 1) and then urban efficiency wages (Part 2). In Part 3, we apply these models to analyze urban ghettos and their consequences for ethnic minorities in the labor market. Professor Zenou first provides different mechanisms for the so-called spatial mismatch hypothesis, which postulates that housing discrimination introduces a key frictional factor that prevents minorities from improving access to job opportunities by relocating their residences closer to jobs. He then explores social networks, which tend to be affected by spatial factors, as workers who are physically close to jobs can be socially far away from them. Based on these models, the author offers different policies aiming at fighting high unemployment rates experienced by ethnic minorities residing in segregated areas.